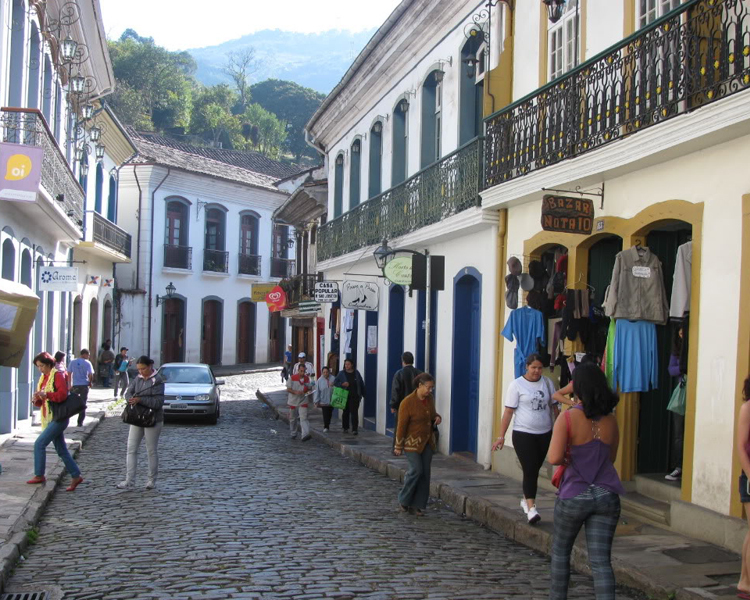 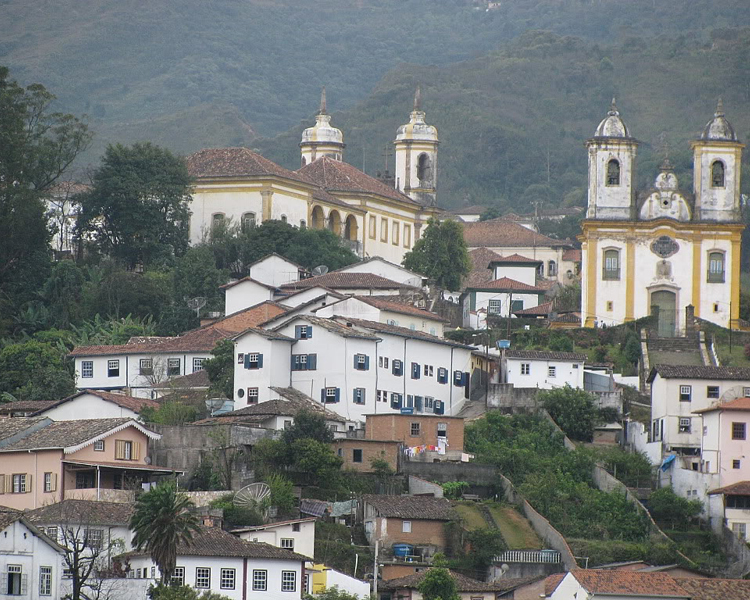 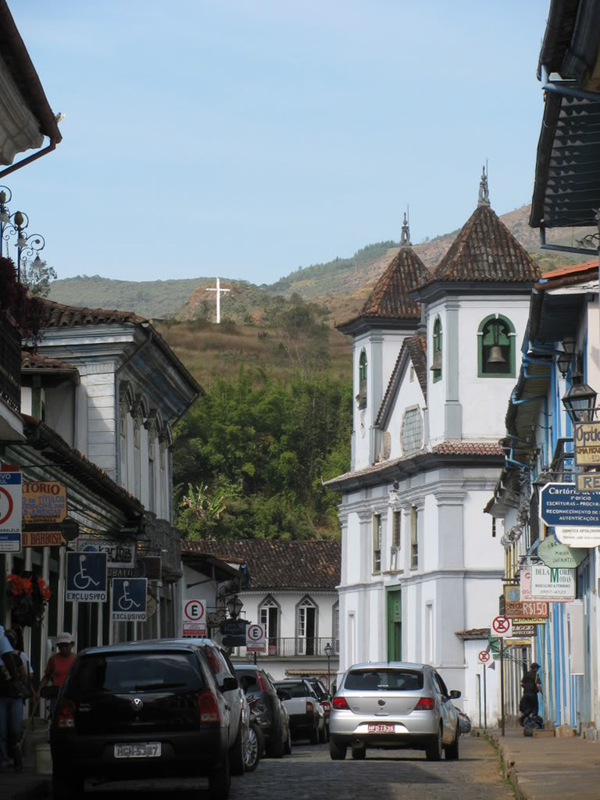 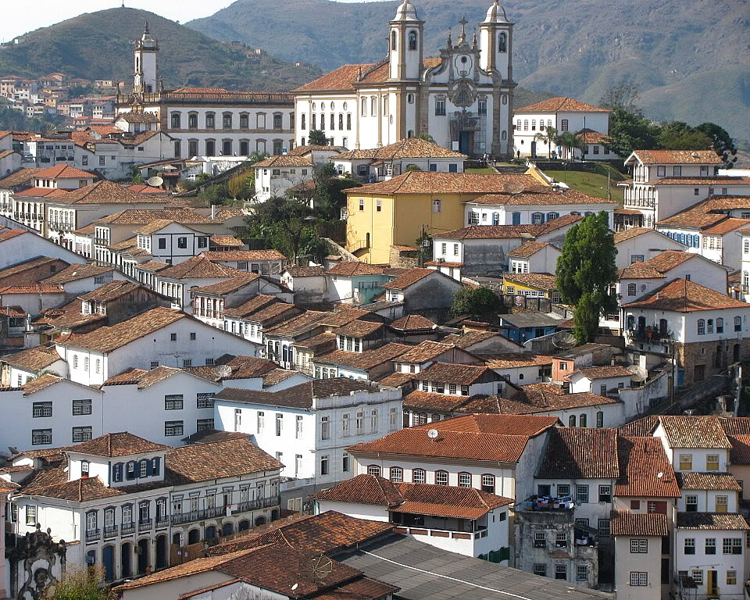 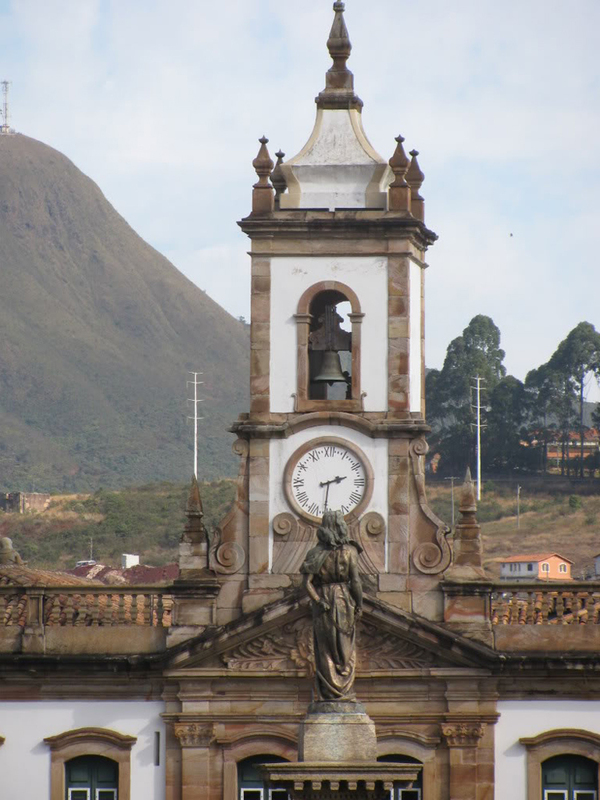 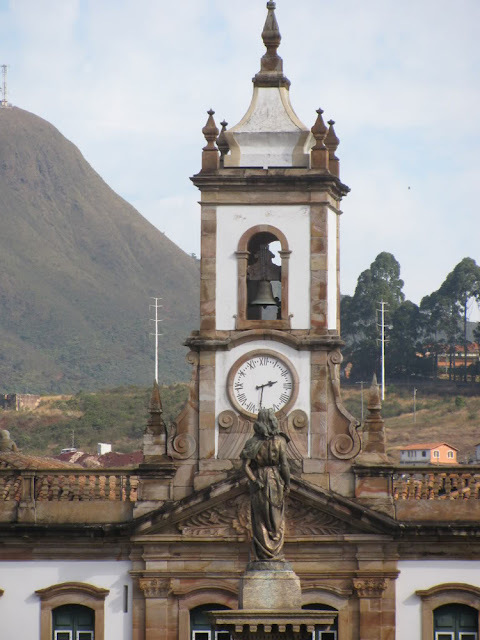 Ouro Preto is one of the most popular travel destinations in Brazil. 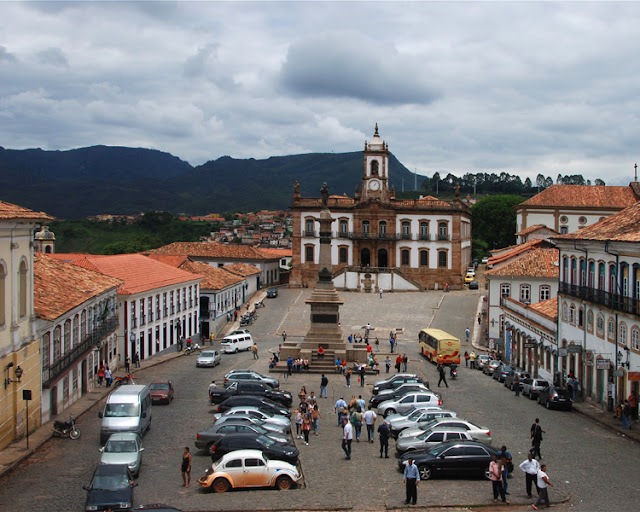 Ouro Preto designated a World Heritage Site by UNESCO because of its outstanding Baroque architecture. 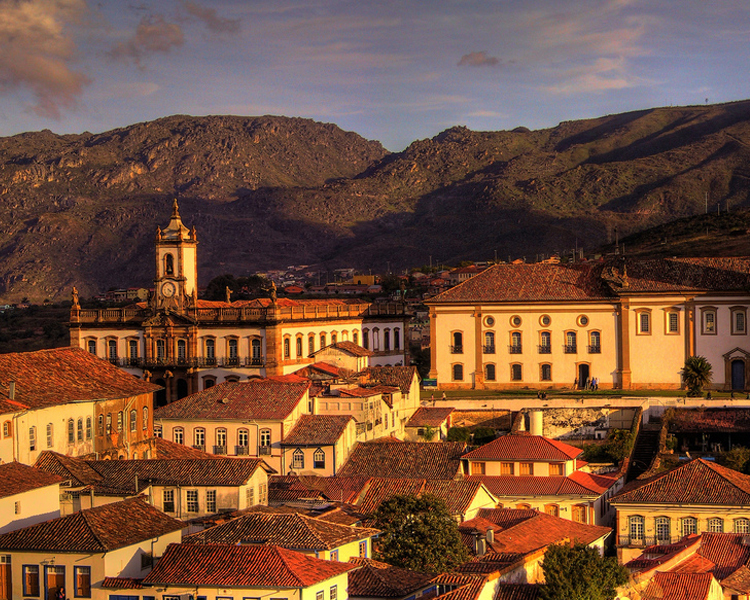 Founded at the end of the 17th century, Ouro Preto (Black Gold) was the focal point of the gold rush and Brazil’s golden age in the 18th century. 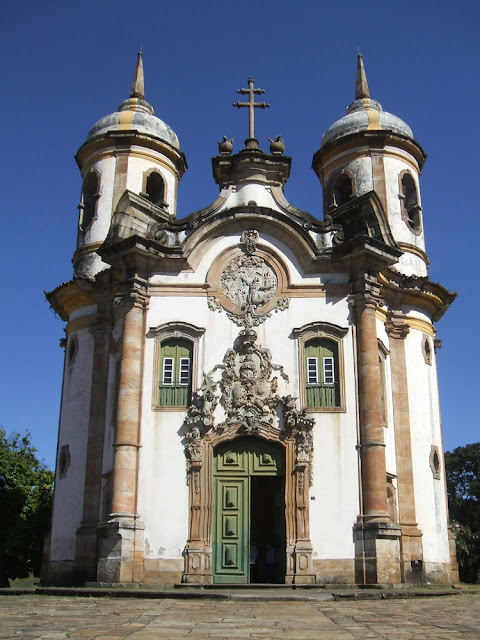 With the exhaustion of the gold mines in the 19th century, the city’s influence declined but many churches, bridges and fountains remain as a testimony to its past prosperity and the exceptional talent of the Baroque sculptor Aleijadinho. 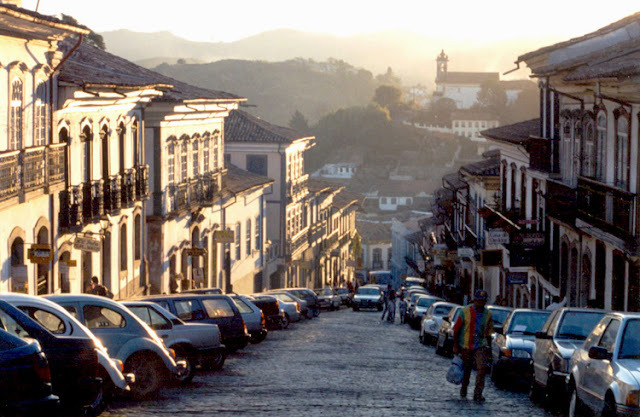 This city played a leading role in Brazil's history in the 18th century. The town was shaped by the grouping together of small settlements (arriais) in a hilly landscape, where the houses, mostly single- or two-storeyed, seem to support one another, forming an irregular urban layout that follows the contours of the landscape. 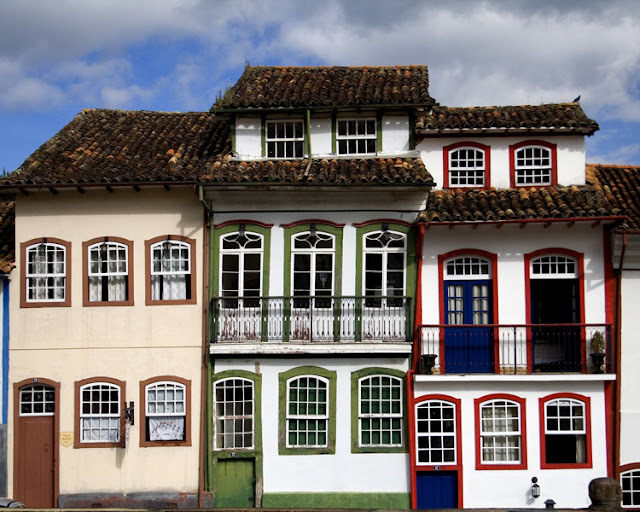 However, the resources derived from mining, coupled with the talents of artists such as Aleijadinho and others, some outstanding architectural and artistic masterpieces are to be found. 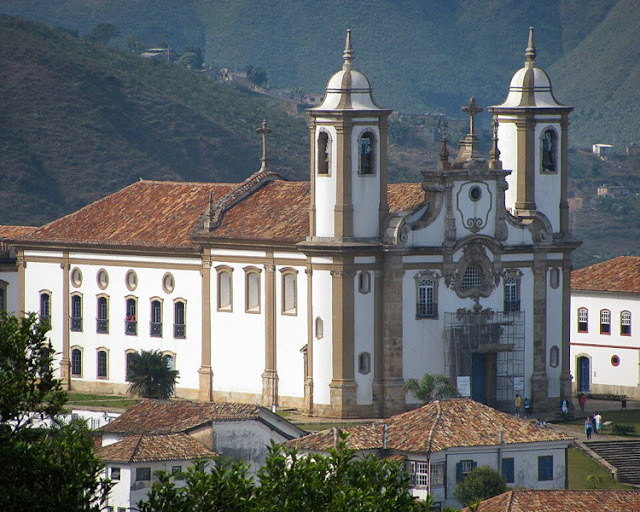 The Church of Saõ Francisco de Assis is considered to be a masterpiece of Brazilian architecture. 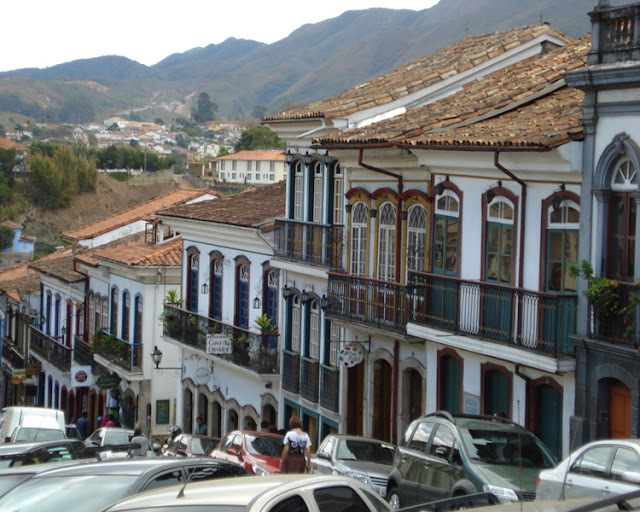 The townscape of Ouro Preto is also noteworthy for its bridges and fountains, all blending into an urban and natural setting of great beauty.